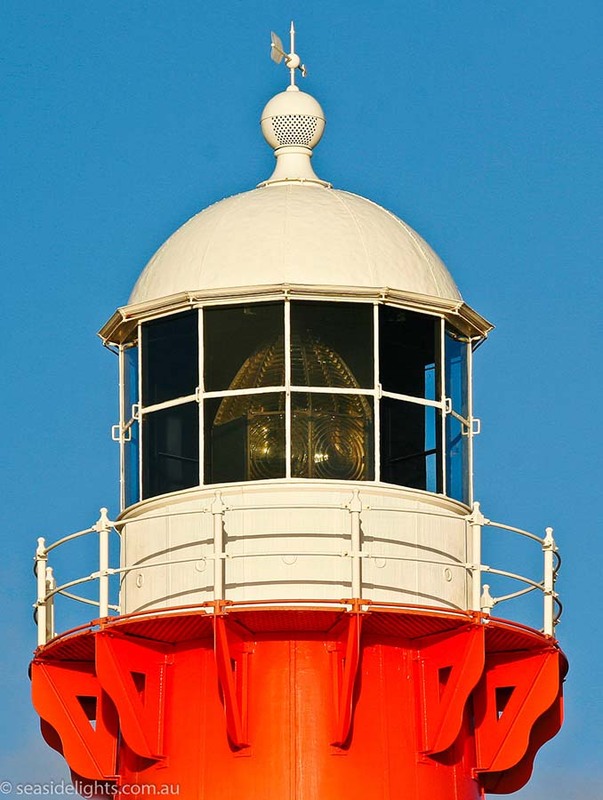 Point Moore Lighthouse | Lighthouses of Australia Inc. 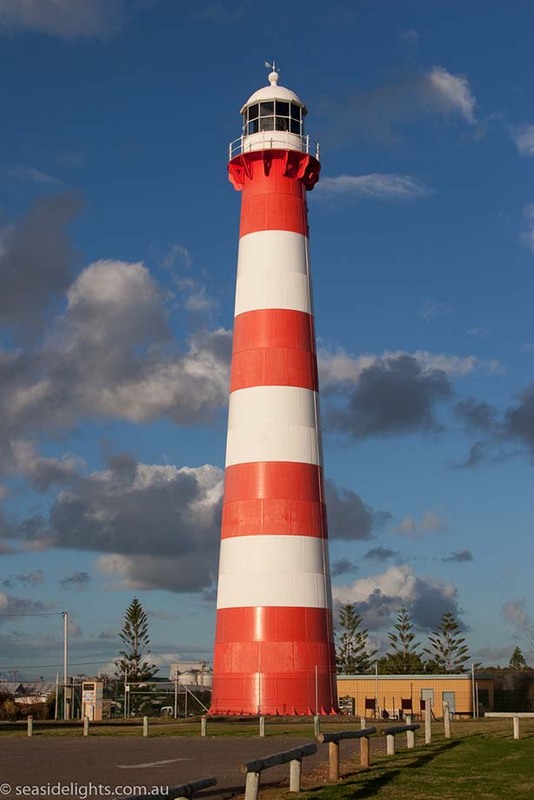 The Moore Point Lighthouse was the first all steel tower built on the mainland of Australia. It is also the oldest surviving Western Australia lighthouse under Federal control. The foundation were originally laid for the Moore Point Lighthouse in 1877, but were found to be in the wrong place. Following this discovery they were relocated to the current site 5 kilometres from the centre of Geraldton. The tower was a prefabricated steel tower by Chance Bros. of Birmingham, and brought to Australia in segments from England aboard the ‘Lady Louisa’. It was bolted together on the new foundations. The light was first exhibited in 1878. There was also a subsidiary light giving two beams but this has since been removed. The original original kerosene wick lamp was replaced by an incandescent-mantle lamp in 1911. A further conversion to electricity was undertaken in 1958. The light was significantly upgraded in power in 1962 when the candelas was raised from 90,000 to 320,000. The character was altered to the current configuration at the same time. The light was further upgraded in 1985. The tower’s day mark of four red, and three white bands was added in 1969. Construction Circular cast iron segmented tower with four red and three white bands. Bottom red band four segments high, all other bands 2 segments high. Chance Bros. (2nd Order) 10' 2 5/8 " diameter lantern.